The kindest and most compassionate thing you can do for yourself and others is to forgive yourself. Self-forgiveness is an important step to becoming a compassionate person. In terms of self-help a better saying to use would be “charity begins at home” or in this case charity begins with self. You cannot freely give to the world that which you do not give to yourself. Just as you cannot truly love someone without first loving yourself, you cannot forgive someone without forgiving yourself. Self-forgiveness is not difficult to master, you only need to simply spend some time thinking over things that you feel badly about, things that you may have said or done to yourself or to others. Apologize to yourself and let it go. Practice this often, whenever you find yourself beating up on yourself about something you did or did not do, accept that the deed is done and it cannot be undone, forgive yourself and move on to find a solution if necessary, if it something that another action cannot rectify then you must let it go, it was in fact in the past already and remind yourself that no one can change the past. See your mistakes clearly (Say to yourself, I’m only human, I made a mistake. I’m willing to let this go. When you have mastered the loving act of forgiving yourself, your heart will then be open to forgiving others. This is part of a natural progression on your journey to enlightenment, to forgive others means to take away yet a bit more control from ego and allow your higher self the possession of your thoughts and actions that it deserves. 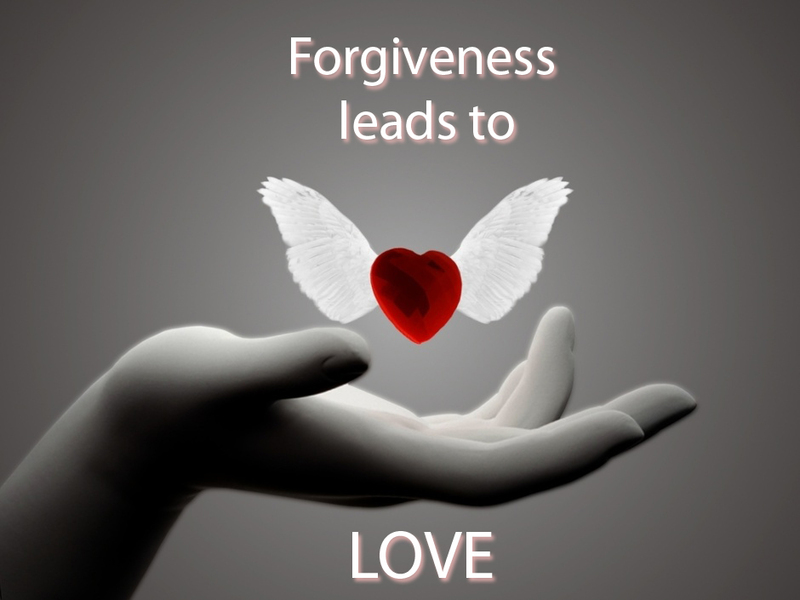 Forgiving others shows you have the ability to open up and let love flow through you. Therefore, JAINA request you all to celebrate the day September 13th as “forgiveness day” and let’s start with self-forgiveness followed by forgiving others. "If we all live by 'an eye for an eye' the whole world will be blind. The only way out is forgiveness"
"It takes one person to forgive, it takes two people to be reunited"